Backlash in LGBTQ Community Over Kevin Spacey's "Coming Out"
Christian Bale won what embattled Kevin Spacey lost: the privilege of being name-checked on "This Is Us." But "This Is Us" producer 20th Century Fox Television said it decided to remove Spacey's name, citing "recent events." Viewers instead heard the project identified as "a Christian Bale movie." In the wake of the Harvey Weinstein scandal, actor Anthony Rapp alleged Spacey made sexual advances toward him in 1986, when Rapp was 14. 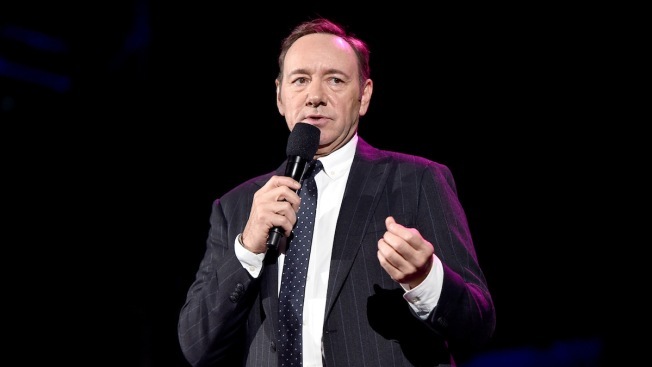 Spacey has said he doesn't remember the alleged encounter reported by BuzzFeed News last weekend but apologized if such "drunken behavior" occurred.